Supportive Housing Communities | Become an SHC Luncheon Table Captain in 2019! 31 Jan Become an SHC Luncheon Table Captain in 2019! 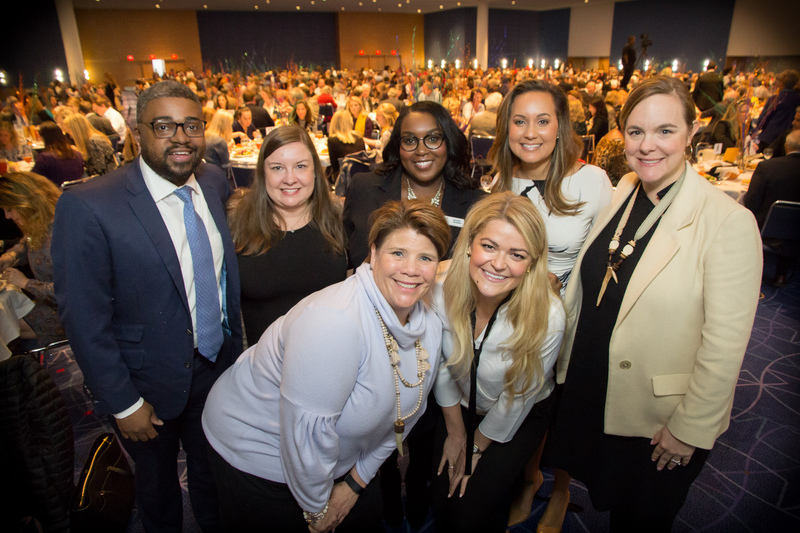 We invite you to get involved with our annual fundraising luncheon on March 20, Noon – 1:00 p.m. at the NASCAR Hall of Fame Crown Ballroom. This invitation is an opportunity to learn more—more about the powerful transformations that are happening in McCreesh Place and across the city thanks to our Scattered Site Program, Street Outreach Team, and exciting work at St. Johns Place. When people learn about us, they are usually inspired to give. The hardest part is getting people in the door. That’s where we could use your help. We invite you to serve as a Table Captain at our annual luncheon. In this role, you would bring seven of your friends and colleagues along to sit at the same table with you. It’s as simple (or difficult) as extending invitations until seven people say “yes.” Lunch is free, but we hope that attendees will choose to make a “meaningful gift” to help end homelessness. This is, after all, a fundraiser. Table Captains are the key to a successful fundraiser. You enlarge our audience and our networks. You get people in the door. Then we do the rest. To express our gratitude, we are inviting all Table Captains (along with presenters, sponsors and special guests) to a cocktail reception at the 46th Floor Vista Room in the Duke Energy Building on the evening of February 9. If you want to become a Table Captain, just email Malia Suhren at malia@aplacetoliveagain.org. Then you will be given more info so you can start inviting folks. March is coming soon. Thank you so much!